Hey, everybody, it’s Andy Gesner and the staff from HIP Video Promo back again with another genre busting new clip! The results are in, and it’s official: the international indie rock community is in love with Jens Lekman. And how, really, could anybody resist? – he’s just about the most charming indiepop star to emerge since the heyday of Belle & Sebastian. Even his letters to his fans (scribed old-school style on his winning website) are conversational, warm, approachable, the writings of a friend. It’s not just an image either; this is who he is. 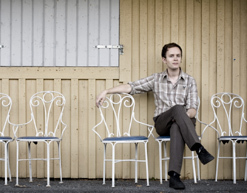 Thousands of smitten fans around the world can hardly be blamed for imagining that if they could just board the next plane for Sweden, Jens Lekman would be waiting there for them – glib, open-handed, and eager to give the grand tour. Then there’s Lekman’s music. Over the course of several astonishing EPs, LPs, and compilations, he’s made it cool to be sweet again. Listeners count on Jens Lekman for radiant melodies, clever samples, a warm baritone voice called “boyfriendable” by Pitchfork(Magnetic Fields reference intended), witty and lovelorn lyrics, illuminating juxtapositions, and dazzling indiepop experimentation.When I Said I Wanted To Be Your Dog, his ’04 debut, felt like a magnificent hybrid of The Left Banke, solo Morrissey, and a peculiarly Scandinavian version of the Modern Lovers; Oh You’re So Silent Jens, the collection that followed, established him as one of the pop firmament’s brightest lights. The strings and Seventies-styled dance beats of “Sipping On The Sweet Nectar” seem to demand a cinematic response – and director Marcus Soderlund has responded with one of the most breathtaking videos we’ve ever seen. Soderlund’s camera captures Lekman in a remarkable setting: piloting a single-propeller airplane over Iceland. He cruises above the Selfoss, a region marked by a characteristic rock formation, rivers and fjords, sweeping valleys, and wide fields. Rocks jut out of a glacial lake, irrigation channels are lit up by sunlight like an electric mainline, and breakers crash against the Icelandic shore. Lekman sings as he soars, and as the string arrangement (sampled from “By The Time I Get To Phoenix”) sweeps in, the plane is carried up to the clouds. Turns out that in addition to his songwriting talent, Lekman is a pretty good pilot, too, and, if Soderlund’s clip is to be believed, he’s got a talent for skywriting. At the end of the video, he’s left us a message in the blue – and isn’t that just like Lekman?, thanking all of us, when we really ought to be thanking him! Secretly Canadian is one label that has always delivered us clips of true eminence, and this time is no different. We owe much gratitude to our pal Jonathan Cargill at Secretly Canadian for allowing us to bring you Jens’ latest vid. Jens Lekman will be on tour here in the states through the remainder of October and into November, so be sure to check him out when he hits your neck of the woods! We’re also stocked with copies of the Night Falls Over Kortedala album, so don’t hesitate to contact us if we can hook us up with a copy for a contest or on-air giveaway. If you need more info, call Andy Gesner at 732-613-1779 or e-mail us at HIPVideo@aol.com. 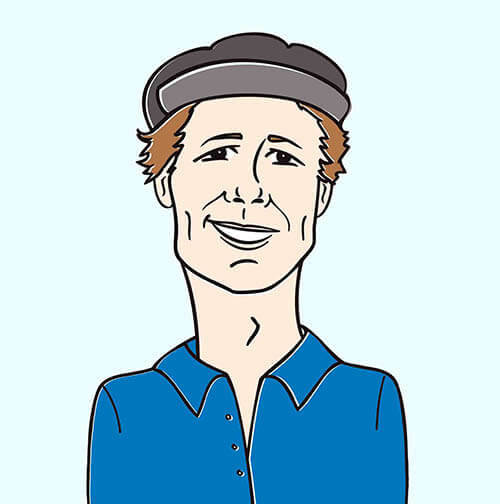 You can also visit www.SecretlyCanadian.com, or www.JensLekman.comto find out more about Jens Lekman.